Cool, Karl and his master Benz go to Las Vegas to visit Benz’s old buddy Hendrick. Cool meets an undercover working Interpoler Ken who is finding evidence against Ko, the head of an illegal gambling syndicate. They cooperate to put Ko into the light. Will they succeed or Ko will kill them all? Actors of "The Man From Macau"
Characters of "The Man From Macau"
Directors of "The Man From Macau"
Creators of "The Man From Macau"
Critic Reviews of "The Man From Macau"
Screen personas don't come much cooler that Chow Yun-fat's Ko Chun in the "God of Gamblers" series, and the latest installment in the series, From Vegas to Macao, does not disappoint in that regard. [A] hit-and-miss hybrid, dependent upon goodwill, broad schtick and star power above anything groundbreaking, comedy-wise, to raise a smile. 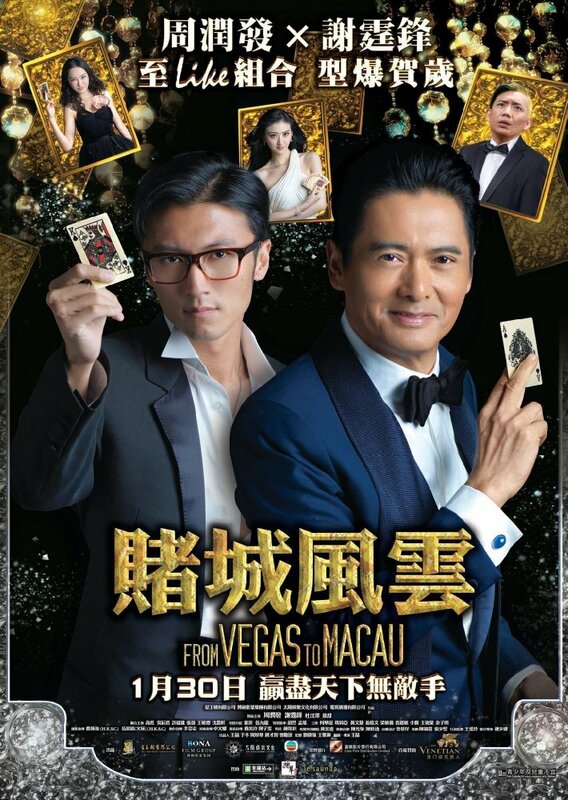 Gallery of "The Man From Macau"